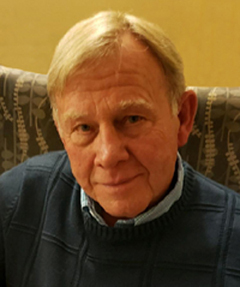 ﻿ Walter Zapotoczny is an award-winning author and historian with over 30 years experience producing many different types of copy. He is the author of over 150 published articles and numerous books. Walter was born in Western Pennsylvania in 1949. His father served in General George S. Patton's 4th Armored Division during World War II. His mother was an air raid warden and wrote letters during the war to servicemen without families. Growing up, Walter developed a keen interest in history. After high school, he enlisted in the U.S. Army National Guard, serving for six years. Following over ten years in the management consulting business ﻿writing procedure manuals for clients ﻿and a brief dabble in politics, he re-enlisted and went on active duty. He served for over twenty-eight years, achieving the rank of Sergeant Major. His last assignment was with the 28th Infantry Division Headquarters as Command Historian. After retiring, he and his wife moved to Baja California, Mexico where he began teaching creative writing and editing a regional magazine. Back in the United States, Walter is currently working on several books while teaching history at a local college. During the winter, he works as a professional alpine ski patroller.